Meet the Experienced Musicians that Rock the Boston Music Scene! Brian is the coolest and straightest member of the band. 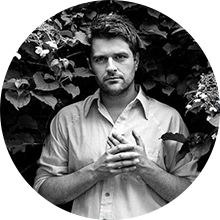 He grew up on the North Shore of Massachusetts listening to his older brother’s records. He got the guitar bug at a very early age and started playing guitar when he was 12 years old. Brian has played (and still plays) with numerous bands, including The Julie White Band, The Low Murphy Band, and The Walker Brothers Band. 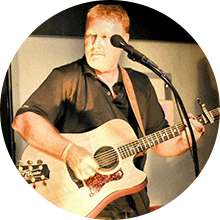 You will also find "Just Brian" doing acoustic gigs around the Watertown / Newton area. Jim, A.K.A. 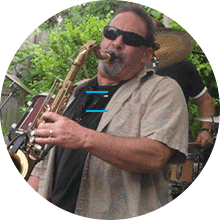 Saxman, has been performing in Boston bands since the early 80's. He belts out tunes on his Tenor Sax, Sally Selmer, and on his new baby, Betti Baritone. Jim's rockin' Sax sounds spice up the Classic Rock selections and adds a jazzy spin to Sudden Relic's modern and blues sound bytes. If you are a lover of live music, you may have also seen Jim playing with Testify, Dell Smart and other local performers. Michael Chapman moved to Boston from Nashville,TN six years ago after deciding to take a break from the rat race of Music City and return to school to finish a degree in Psychology at UMass Boston. However, it wasn't long until his love and passion for music was reignited. When listening to Michael, some consider him more blues and soul, some consider him more rock or even a little country. However, Michael doesn't like to constrain himself into any one genre and says that whether he's doing a cover song or a song of his own, the passion and feeling must come from within to convey a song's true meaning to the audience.Michael released an album of all original material titled, Reality, which is available on iTunes, Amazon, Google Music, and many streaming outlets such as Spotify. 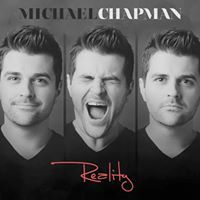 Visit michaelchapman.com to learn more about Michael. Few bands are complete without a rockin' drummer and Wayne is all that. He is passionate about family, friends and music. He keeps the boyz inline and is always available to help book Sudden Relic for your next event.What are you waiting for? Book 'em - 781.690.0149 (Ask for Wayne). 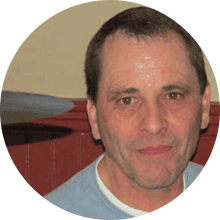 Originally from New York , Jack has been playing professionally for 35 years! You'll find him on the bass guitar, acoustic guitar and taking over the mic when Michael lets him. :-) Jack loves having a fun time on stage and making sure our fans have a great time. He also enjoys trying to make the ever-serious Stevie-D crack a smile. 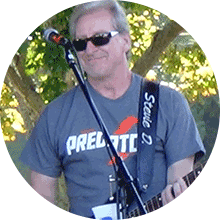 Steve began his musical career in college playing coffee houses and dorm jams covering legendary rock bands. He later hooked up with some local guys to form an original garage rock band called Pale Kelly. 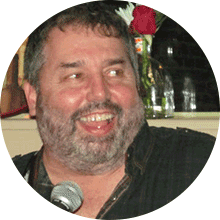 Since the mid 90’s, he has enjoyed playing with numerous cover bands on the Boston local scene. He also helped out Michael in writing some of the music for his Reality debut album. Steve is always open to collaboration and new projects. He's very serious on stage, but inside he's pumped up when the crowd starts singing and shakin' their booties. Sudden Relic is a Boston-based rock band that traces it's roots to 2000, formerly known as DeepWater Blues. We play a mix of classic and modern rock, blues, and even a li'l bit of country. Let Sudden Relic rock your next event.